While the summer is a time for many people to relax and unwind, today’s Monday Morning MSI Line Up showcases students working hard to prepare for the fall semester! These seven MSIs have summer bridge programs that help incoming first-year students acclimate to campus life and get a head start on earning credits. Way to go, students – we see your hard work and determination! The Golden Scholars Bridge Program at FIU is a summer program for first-generation college students. These students will live on campus for six weeks during the summer, getting an early start on their college career. Successful completion of the summer program will allow students to enroll as Golden Scholars in the university for the fall semester. CSUN’s Summer Bridge program is designed to support at-risk African American and Chicano/Latino students from the Los Angeles area. These students will spend six weeks on campus the summer before their first semester, where they can take classes with the Pan African Studies Department. During this time, students will also learn skills necessary for college success, like budgeting and time management. UT Arlington’s Summer Bridge program is specifically designed for students who do not meet automatic admission requirements, but still show great potential for success. As part of the program, students will complete six credit hours of math and English over the summer. After successful completion in the summer, students can go on to take ten credit hours in their fall semester, and then become a full-time student with fifteen credit hours in the spring. The UNM Division of Student Affairs, together with American Indian Student Services, provides an American Indian Summer Bridge Program to help incoming American Indian freshmen prepare for life on campus. The five-week program contains a residential program, college coursework, and skill-building. JSU’s Bridge to the Future program was created to increase the number of STEM graduates and decrease the time it takes to graduate for program participants. Each year, 130 students take courses in math and science, while also participating in cultural activities throughout the two summer sessions. CSU offers a 4.5-week Bridge Program for students as an opportunity to learn about campus resources, while also earning course credit. Participants of the program will benefit from workshops on academic skills and leadership development, individualized advising, and an optional residential experience. Successful completion of the program allows students to return in the fall semester. Do you know any other MSIs helping incoming students prepare over the summer? Let us know in the comment section below! Each year, entrepreneur.com publishes a list of top 25 institutions that have excelled in the field of entrepreneurship. In the past 5 years, four MSIs have been recognized for their curriculum in educating the top entrepreneurs in the country. Read more about the successes of these MSIs below! The University of Houston has been recognized for its 47 entrepreneur-related undergraduate courses and funding successes. University of Houston alumni have started 116 companies in the past 10 years and have raised more than $35 million in funding. As a founder of one of the oldest entrepreneur programs in the nation, University of Southern California remains as one of the producers of the most successful entrepreneurs. During the academic year, Bernard Baruch students compete in startup competitions and have had many successful outcomes. In 2015, students won over $280,000 with the help of their mentors and school programs. Know of any other Minority Serving Institutions with programs or organizations boosting entrepreneurship? Let us know in the comments below! Today’s increasingly globalized world needs dynamic leaders with skills in critical thinking, innovation, collaboration and much more. It often falls on the shoulders of educators to teach these skills and prepare children for these roles. Thus, today’s Monday Morning MSI Line Up highlights 8 undergraduate teacher education programs that aim to instill these attributes. The undergraduate teacher education and certification program at the University of Maryland (UMD), College Park is one of the most well known in the Mid-Atlantic area. Some of UMD’s more unique programs include Middle School Math and Science Education, Special Education (Elementary/Middle School), and a 5-year B.S./M.Ed. combined program in Secondary Education. 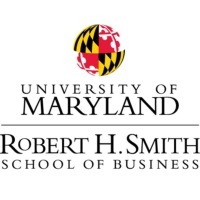 UMD College Park also aims to develop students’ interpersonal competence, professional conduct, work/task management skills, and analytical reasoning competencies. The University of Hawai’i at Mānoa offers 6 undergraduate teacher education programs. These include Health and Exercise Science, Distance Programs, and even a B.S. in Exceptional Students and Elementary Education. The University’s website offers a survey for students interested in education to narrow down which teacher licensure or undergraduate program is best for them based on their personal interests. St. John’s University’s School of Education is committed to “provide programs that enable the school’s students to function effectively and professionally in today’s dynamic, multicultural, multi-ethnic society.” Students enrolled in Elementary or Adolescent Education programs are afforded learning experiences that support their intellectual, professional and moral development. University of New Mexico’s (UNM) Elementary and Secondary education programs were created to prepare teachers for New Mexico’s diverse demographic of students. This diversity mostly stems from the various linguistic and cultural communities that reside throughout the state. As such, the Elementary Education B.S. program offers three strands of concentration: bilingual education, TESOL, and Special Education. Know other Minority Serving Institutions with strong undergraduate teacher education programs? Share your thoughts in the comments below! Summer is upon us, which means students all over the country are getting ready to embark on a variety of enriching opportunities before the fall semester starts. In today’s Monday Morning MSI Line Up, we highlight five Minority Serving Institutions that are taking students on adventures across the globe to experience new sights, sounds, and cultures. Dr. Daniele Ottati-Reperger will be leading a two-week summer session in Toronto, Canada. Students will earn credits for two courses, “Introduction to Public Speaking” and “Foundations of the Humanities,” as they study Toronto through an interdisciplinary lens. Outside of the classroom, students will also get to visit Niagara Falls, North America’s only castle, and Toronto’s many cultural neighborhoods. Click here for more information. Dr. Judy Shepher, who served as a Fulbright Senior Scholar in Uganda, will be taking students to the country for seventeen day this summer. Students will visit various locations in the country, learning about issues regarding education, health, and poverty. There will also be opportunities for service projects during the trip. Click here for more information. The Director of Internships in Applied Psychology, Kathryn Engel, will be facilitating a month-long session in Paris, France this summer. Students on the trip will complete internships in social service organizations around the city, addressing issues such as homelessness, domestic violence, and challenges faced by incoming refugees. Three days a week will be spent at the internship sites, leaving time for cultural excursions around France. Click here for more information. Dr. Susan Nakaoka will be serving as the Faculty Resident Director on a six-week journey to Kōbe, Japan. This trip is a perfect way for UHM students to study the Japanese language through intensive classes and experiential learning, thereby fulfilling their foreign language requirement for graduation. Students will be able to further practice the language by staying with Japanese host families! Click here for more information. Professor John Mascaritolo will direct a May study abroad session to India. Students on this trip will be exposed to Indian culture and history in an effort to better understand the country’s business environment. Besides earning course credits, students will also get to experience excursions to business organizations, cultural sites, and museums. Click here for more information. How do you plan on spending your time this summer? Share below if you or someone you know will be experiencing a summer abroad!